Why Choose Wilfords? Well, based on our experience and your feedback, the following 12 reasons form the foundation of what we believe gets the right results and makes for happy clients. Wilfords consistently achieve precedent prices for our clients’ property. Whether it’s a family house, studio flat or anything in between, our experience and processes are designed to ensure that you make the most from your home. When you appoint Wilfords you get a senior Director as your point of contact within the company. They coordinate viewings and make sure you’re kept up to date with progress, something that a lot of our larger factory competitors struggle to do. It’s all part of our focus to provide a superlative service. Wilfords past clients are our best advocates. Take a look through our client testimonials for recent reviews. Wilfords is owned and run by its founding partners who work full time within the business. The passion for our own business combined with a strong independent brand is generating referrals from old and new clients alike. We are proud of what we are building, brick by brick. Wilfords achieved 97.6% of the asking price for our clients to date. How? We treat every instruction with an unrivalled attention that you can’t get elsewhere. We love our job, that’s why so many potential buyers and tenants register with us and refer us to their friends and family. One more contributing factor as to why we consistently have significant numbers of buyers and tenants for every property listed on our books. We’ve also cultivated relationships with search and acquisition agents and corporate relocations agents over many years. We reach out to them and dozens of other search agents’ contact us on a weekly basis. You can be sure that whatever you’re looking to sell or rent, we’ll find the buyer or tenant whether they’re located here or abroad. We’ve created a state of the art, stylish website at wilfords.com We also advertise on major internet property portals including Zoopla and Rightmove. In fact the websites that Wilfords advertise on receive over 1 million hits per day between them. We also advertise in the Financial Times and Sunday Times Home supplement, talk to our founding partners about the best marketing strategy tailored for your needs and property. Wilfords consistently attracts foreign and domestic buyers and tenants. We analyze where people are located when they log onto our wilfords.com each week and we are experienced at communicating with clients based in all four corners of the globe. 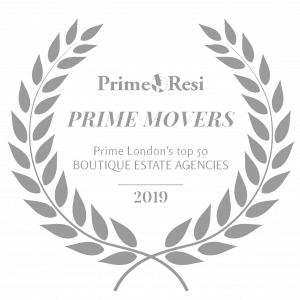 We offer maximum exposure for those clients who require it, however we also understand that some of our clients prefer a low-key, under the radar, off-market sale. We have vast amounts of experience when it comes to off-market transactions, bringing this type of transaction to a satisfactory conclusion. We constantly monitor the local market and a plethora of economic indicators to make sure we’re aware of activity that could affect the value of your property. Whether it’s a change in supply, a recent sale or a shift in the economic land, we’ll be sure to let you know where you stand. Wilfords people are the best at what they do. If the ‘inevitable’ happens, we’ll be there to man the fort. Broken chains, financial fall-troughs’, a tricky tenant or gazundering, we’ve seen it all and know how to best manage and deal with it, giving you comfort and peace of mind that you’re in safe hands. We like to make things happen quickly, that’s why we’re contactable 12 hours a day, 6 days a week, in person, on the phone, by email, text or instant message. We also do viewings on Sunday if convenient for you. If we miss a call it’ll be returned as soon as possible and you’ll never see us dragging our feet when it comes to getting your property on to the market. It requires a particular skill to effectively market a property in a subtle and unobtrusive way. Wilfords is well placed and experienced at providing this low-key, under the radar service in London. We are a voluntary member of Arla Propertymark, abiding by the strictest codes of practice, including client money protection.